Fruits and vegetables come and go with the seasons; they each have their own prime times to consume when they are at their freshest. I have compiled the following list based on the fruits and vegetables in season during the month of November. The fruit of choice for Snow White is her fruit of choice for a good reason. One medium apple has 4 grams of dietary fiber, which helps lower the risk for heart disease and prevents and relieves constipation. Just beneath the peel hides almost half of the Vitamin C found in the apple, so make sure you are eating the skin. 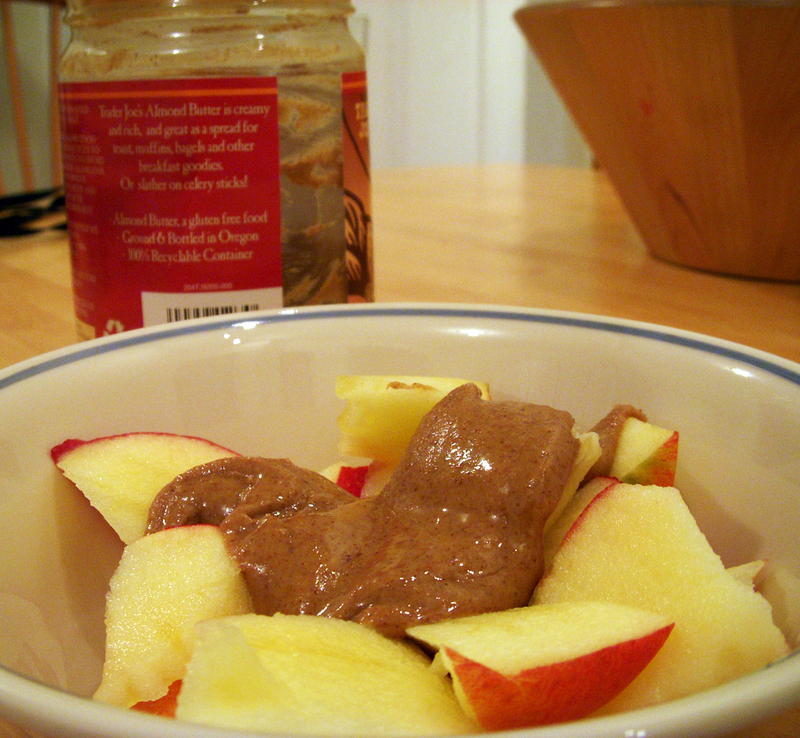 One of my favorite ways to eat an apple is slathered with peanut or almond butter. Carrots are a member of the Umbelliferae family, which means they are related to vegetables that have umbrella-like flower clusters. And they are not always orange. They also come in red, white, yellow and purple. In a recent study from the Netherlands, orange-colored vegetables were found to be the most protective against cardiovascular disease. 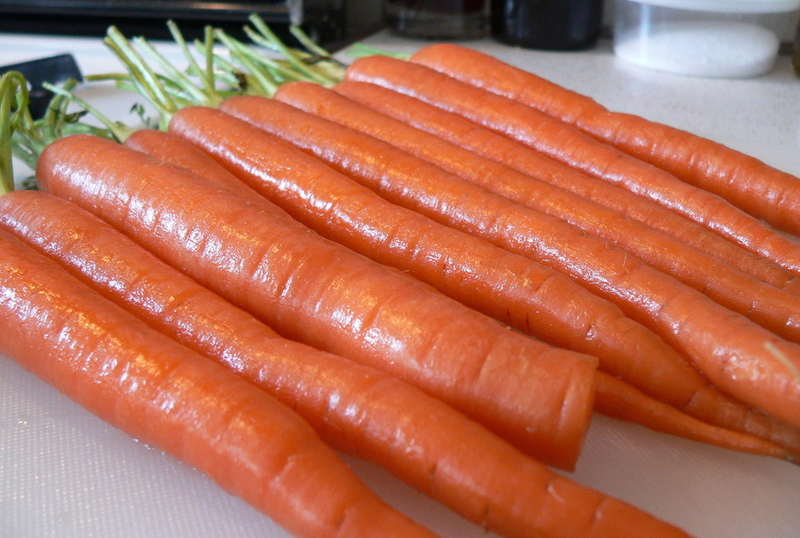 Carrots are also one of the most widely-consumed antioxidant vegetables in the U.S. Antioxidants are what help the body fight against free radicals and other toxins that can lead to cancer and other diseases. So whip up a delicious carrot cake and you’ll be all set. U.S. pears are grown in Oregon and Washington because those areas have volcanic soil and clean mountain water--perfect for growing pears. Eighty-four percent of pears grown in the U.S. come from these two states. One medium pear provides six grams of fiber, 24 percent of the recommended daily value, and 190 milligrams of potassium. On top of that, pears contain no saturated fat, sodium or cholesterol. While it sounds far-fetched, I recommend trying grilled pears. You won’t regret it. This vegetable has a bad rep from our childhoods, but in fact, it is one of the healthiest and most nutritious of the vegetables available for consumption. One of its most significant health benefits, at least in my opinion, is that it has been linked to cancer prevention, especially bladder, breast, colon, prostate and ovarian types. The reason for this is that cauliflower is connected to the areas of cancer development in the body: detox, antioxidant and inflammatory/anit-inflammatory systems. My mom makes the best recipes with cauliflower, but my favorite way to eat it is grilled drizzled with oil and vinegar. While it may not be the most pleasant thing to think about, cranberries are one of the best cures for a urinary tract infection. This is because cranberries contain bacteria-fighting compounds, bacteria which also leads to ulcers and oral bacteria, which eventually leads to gum disease. And that can all be accomplished with just 10 ounces of cranberry juice. Back in the early days, New England sailors traveling to North America ate cranberries to prevent scurvy. They New Englanders knew what they were doing. Cranberries are now celebrated on Thanksgiving with sauce spread on turkey and stuffing. Now you know when you’re making those leftover sandwiches, slather some cranberry sauce along with the turkey.